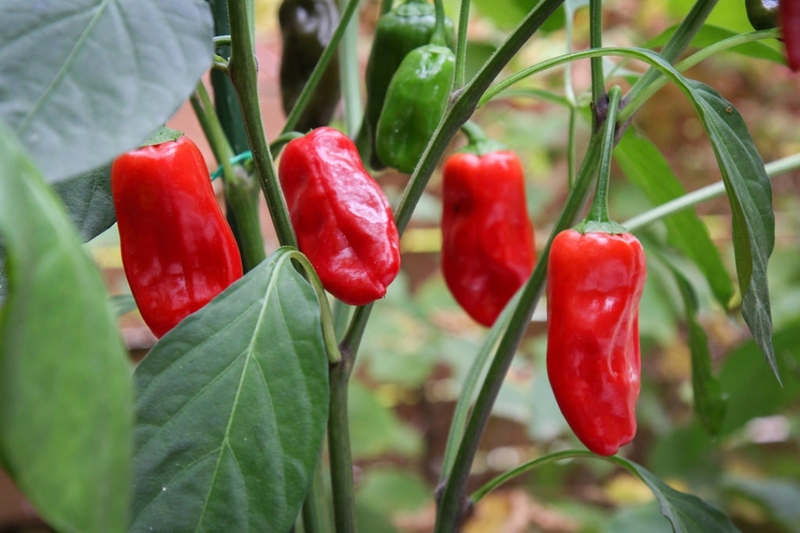 Chili Peppers 'Padron' (Capsicum annuum 'Padron'): growing, planting, caring. Some peppers are hotter than others. Padrón peppers - from the Padrón region in northwestern Spain - are small peppers about 2 inches (5 cm) long with an elongated and conic shape and colors ranging from bright green to yellowish green, and occasionally red. Their peculiarity lies in the fact that, while their taste is usually mild, a minority (10-25%) can be particularly hot, mostly depending on the amount of water and sunlight it receives during its growth.